Bits of material, a faded pressed rose, ticket stubs – memorabilia that instantly trigger an emotion. Perhaps you have a scrapbook full of old pieces of your life that you reopen now and then. 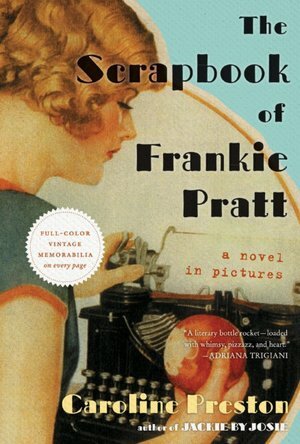 In The Scrapbook of Frankie Pratt, Caroline Preston reveals her heroine’s life and the nineteen twenties era she lived through – with postcards, snips of old catalog ads, graduation announcements, candy wrappers, and more. As Preston reveals Frankie’s coming of age tale, she offers full-page collages that include fashion, furniture, vintage ads, photos and sketches from the twenties with a sprinkling of short dialogue at appropriate junctures. 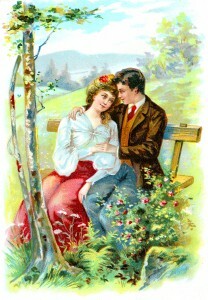 A romantic tale full of history and nostalgia – a picture book for adults.